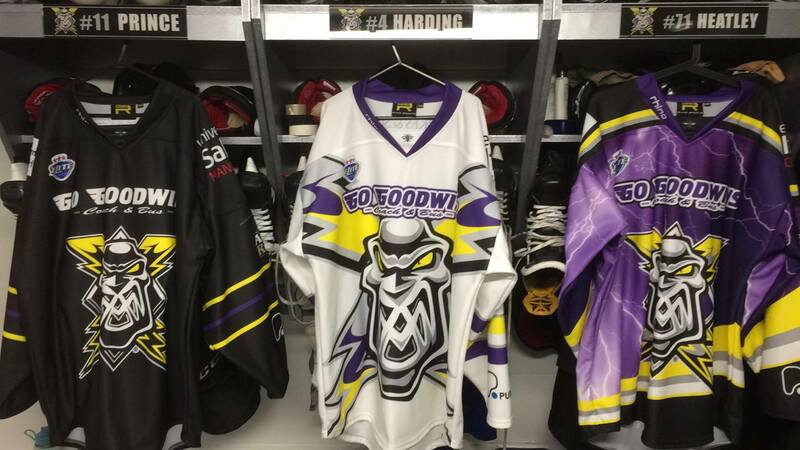 Your Go Goodwins Manchester Storm are delighted to announce that we have had a large delivery of jerseys from our suppliers this afternoon! The delivery, which arrived today at 1.40pm today, will be ready for collection at the club shop when doors open at 6pm this evening. PLEASE NOTE: If you want a Storm replica jersey in time for Christmas you need to place an order via the club shop or Box Office before 5pm on Sunday 31st Oct, alternatively, we will have replica jerseys of all 3 jerseys available to purchase in the shop in varying sizes. Storm Secure Point Against League Leaders!